Get a Grip: Is the Axe Bat by Baden the Future of Hitting? The most sacred, unparalleled element of baseball is its history. In no other American sport can you trace the history of the game like this one. If you were asked to name a pro baseball player who played 100+ years ago, you could probably name a few with ease (Ruth, Cobb, Shoeless Joe, Cy Young, Mathewson, Honus Wagner, Walter Johnson). Ask that same question about football, hockey, or basketball, even to experts, and I doubt there’d be a correct answer if any at all. But the history of baseball is a double-edged sword. Where it links the past with the present, baseball rejects change. The TRADITION vs. INNOVATION tug-of-war in baseball is so well-documented that there’s a Brad Pitt movie about it. Lately, though, the traditions are being challenged. Take the Lizard Skin bat wrap. For a century and a half, pro hitters have desperately tried to figure out how to get the best grip. Spit, pine tar, rosin, wax, golf gloves, batting gloves, medical tape, the Pro Hitter thumb aid, THEIR OWN URINE, and probably a few other things I don’t even know about. Meanwhile, the 6 year olds playing T-Ball are getting along just fine with a rubber grip—the same type of grip used on hammers, bikes, shovels, brooms, pens, basically anything you need a good grip on, for like a million years. Now, in less than two seasons, WPW conservatively estimates that 30% of the league uses or has used a Lizard Skin bat wrap, a grip much like those you’d find on T-Ball bats. So why did it take so long for Lizard Skins to happen? 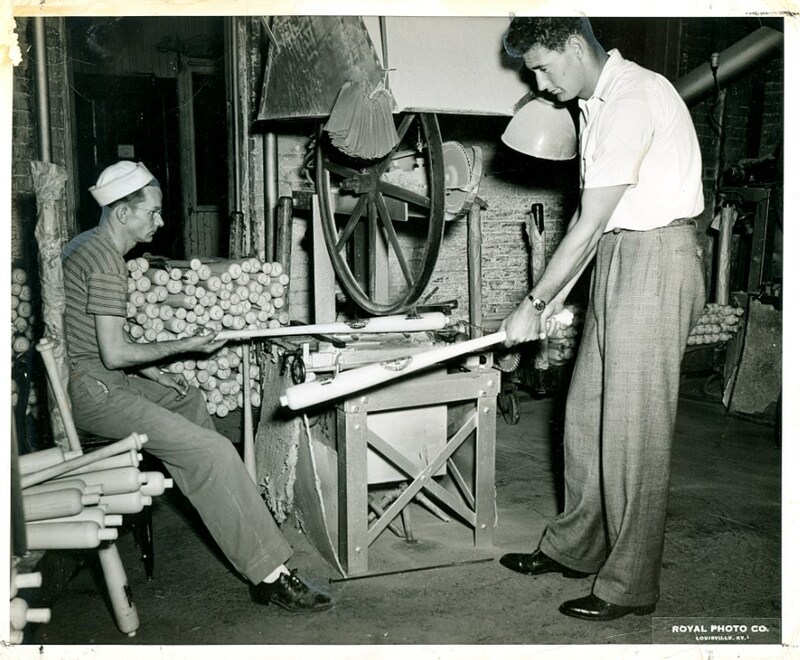 Probably one part machismo and one part tradition: “Pro ballplayers don’t need Little League grips.” “We’ve always used pine tar and peed on ourselves.” Etc., etc. Based on the scattered evolution of the bat grip and how quickly Lizard Skins have taken hold, it is my opinion (as a person who spends a lot of time looking at baseball equipment) that the baseball bat handle is a work in progress. There are still improvements to be made. Memphis swings Axe Bat exclusively. Baden sent me an MLB-certified Maple 271, and I have been swinging it for a couple of games. Its very hard to say how I feel about it in such a short time, but I have other options and I’ve been using it because it feels good. My hands feel comfortable and quick, and I’m making good contact at a relatively high rate so far. As far as metal goes, I wanted to give you an expert opinion, so I consulted a D-1 team that swings Axe Bat exclusively, the San Jose State Spartans, to see what they thought. What about the Axe bat compelled you to move away from the standard form? Do you think Axe bat technology will eventually be the standard? And what do the players think? What are your thoughts on the Axe bat? Were you skeptical at first? Do you think it’s made you a better hitter? How long does it take to get used to? Other college programs using the Axe Bat this year include Memphis, USC Upstate at the Division I level, and nationally ranked Division III programs Marietta College of Ohio (#10) and Cal Lutheran (#8), among several others in Division II, III and NAIA. Jimmy Rollins recorded the first Major League hit with an Axe Bat (the handle is MLB certified). 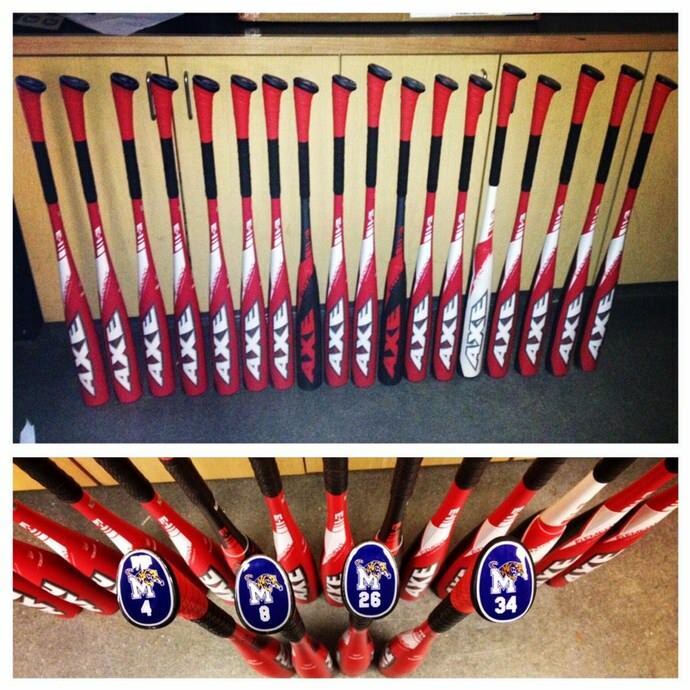 To shop Axe Bats, go to AxeBat.com. Or follow this link for more on the science behind Axe.